It was sunset. The sky was a mixture of colors including pink, orange, purple, and red. Only a few clouds hung in the colorful sky, and Neopia's blazing red and orange sun was beginning to hide itself behind the large, rolling hills that bordered the small land. "I wish I could be up there," whispered a small voice. "I wish I could-could see the sunset from the sky… It would be so beautiful to just sit up high on a fluffy white cloud and watch the world beneath you…"
The voice belonged to a young Kougra named Raine, whose owner had recently painted her cloud. Since then, Raine had been interested in the sky, learning every bit of information there was to learn at every chance she got. "Raine, it's time for dinner!" called the Kougra's owner, Belle. Belle was a nice girl, stubborn at times, but nice. She played as many games as she could, every day, until she had to come home to her family, carrying sacks of Neopoints with her. Raine took a last look at the setting sun and rushed back into the house, her pale blue hair blowing in the wind. Already sitting at the table were Raine's siblings, Nina and Mage. Nina was tapping her fingers on the table impatiently. The starry Lupe turned to Raine as soon as she walked in and yelped, "Finally, I'm starving!" She was the middle pet, the loudest, and the least patient. "Yeah," agreed Mage, "we thought you would be out there all night!" The brown Ixi thought of himself as the best of the bunch of pets, since he was the oldest, and had the most power of everyone. "Sorry," Raine mumbled. "Am I the only one who has some patience in this family?" Belle rushed in at that moment holding a large tray. "No rudeness," she said blankly, like she did every night. "Tonight we're having a lovely turkey dinner!" The large piece of meat was smothered in gravy, and surrounded with all sorts of vegetables. Everyone's mouth watered, remembering the small burgers they used to have to eat before Belle began to get good at the games. Belle cut each pet a piece of meat, saving the smallest for herself, and everyone devoured their slice in a matter of minutes. When all but the bone was left, Belle brought of a steaming apple pie, and the same thing happened until everyone was too tired and full to speak. Finally, Nina smiled and said, "Thanks, Belle." She ran her fingers through her blonde hair, thinking about the luscious gravy and then the buttery crust of the pie. "Yeah, that was great," sighed Mage, closing his large brown eyes. "Thank you," Raine said politely. "I think I'll go to bed now. I have school tomorrow." She then rushed off to the bedroom that she had once shared with Nina, and began to weep. The next day, Raine walked off to Neoschool silently, wearing a new plaid skirt and knee-length socks. Her hair was neatly combed back into a Uni-tail, and she wore two gold bracelets that she had gotten in the Lost Desert many years ago. The day was nice, with only a small breeze every now and then, and a bright yellow sun in the cloudless sky. 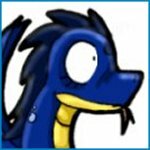 Many Neopets dreaded going to Neoschool, for they would rather run around with their friends than learn about decimals and how the Tyrannian War started. But Raine loved school. Her teacher, Mrs. Radford, was a kind and generous person, and it was a chance to get away from her family if they were bothering her. Today though, despite the lovely skies and breezes, was a day when the young Kougra just wanted to huddle up in a corner and cry. Why couldn't she have been born a faerie? She longed to live in the clouds now, more than ever before. Nobody would bother her! No one would steal the last cookie from her when her back was turned! And no one would ever know where she was, no matter how hard they looked. She could be alone, like she had always wanted, and could watch the sun rise and set every day, from any view she wanted. And every night, Raine would go to sleep on a soft, white cloud in the wide-open sky-- not in a tiny room on a lumpy mattress. Suddenly, Raine realized why dreams were dreams: Because no matter how hard you want it to happen, they will never, ever come true. Raine approached the large doors and pushed them open, entering a crowded corridor of Neopets rushing to classes, arms full of books and papers as they raced down the marble floor. Raine walked to her locker and entered the combination. It opened and she shoved her Angelpuss backpack in, taking out her English folder and notebook, and running down the hall. At the wooden door labeled 'Room 403,' Raine smoothed down a piece of stray hair and entered the room. She entered the second the bell rang, indicating that she had arrived a moment before lateness, something that had never happened before. "Hello Raine!" greeted Mrs. Radford, a shadow Shoyru with silver glasses that perched on her nose. "Right on time, never late! Sit down and we'll begin our lesson on the famous Lupe, Jeran." Raine walked to her desk and opened her notebook to her notes page on the hero. But when she looked at the space next to her notebook, she found a folded piece of loose-leaf paper with "To: Raine" scribbled on the front in neat cursive, written with a light blue pen. Raine looked around at her classmates. None of them were looking at her, like kids always did when they passed notes, nor even paying attention to her. Raine's curiosity got the best of her right then. Drowning out her teacher's words, Raine put her hands under her desk and slowly unfolded the piece of paper. She smoothed it out and placed it on her lap, so that she could look down and read it while pretending to write notes. Greetings to the Kougra to whom this note is addressed to. I am your friend. Remember that, and meet me later on in the day. For now, study. Come to me if you wish to fulfill your dream. Bring nobody. For a while, Raine read the note over and over again. Finally, the message soaked into her brain and she went back to studying, following the instructions. When the bell rang, and Raine felt like she would explode if she heard any more about Jeran. She stuffed her books into her bag and carefully folded the note back up, placing it in her red jacket's pocket. Once outside, Raine ran through the crowds of pets, young and old, to a quiet place under a tree, and read the note again. So the writer of the note had sent the note to the right person. That was for sure. But where were they supposed to meet? It didn't say anything about that! Maybe I should just go home… This could be a prank… I can't believe I got so excited over this dumb piece of paper! The thoughts raced though Raine's head, each new one making her even more angry. Finally, she through the paper down and stomped off towards her house. But as she walked along, the paper followed her! It blew in the wind gracefully like a petpet flying beside their owner. Raine got so fed up with this that she snatched the paper and looked at it questioningly. New words were scrawled across it: You know you believe in me, Raine… Raine threw it down in fear and began walking faster. It followed, and blew her face. Raine stopped in her tracks. The West side of her house was where she walked past every afternoon! What if this was some bad person who was… tracking her down? No, you're crazy! Raine thought to herself. Everything is normal, I'm just going to walk into my house and be safe and sound! At last, Raine could see her house. She walked boldly across the pavement, and stopped right next to her house. "See!" she said to herself reassuringly. "Nobody is here! I am all alone, right here in my nice little home!" "Guess again!" said a woman's voice. All of a sudden, the wind lifted up Raine and swooped her up, further and further into the sky. Raine closed her eyes and passed out. Raine opened her eyes and stretched. Where was she? She sat up, and, to her surprise, found herself on a fluffy white cloud. An Air Faerie sat next to her, her feet dangling from the cloud. And from way up there, Raine could see the sun setting, it's rays darkening in the once again colorful sky. Raine gasped. "Now I know why they call dreams dreams," she said to herself. "Because if you really believe in them, they will come to you." 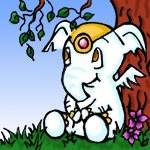 "Malara," the white Elephante's owner, Jared, called from downstairs. "Get up, you're going to be late for your first day of school!"